Javier Collado Ruano: Dear readers, it is a big pleasure present Ms. “Mama” Hawa Aden Mohamed: a Somali humanitarian, educator and women´s rights advocate which won the 2012 Nansen Refugee Award. 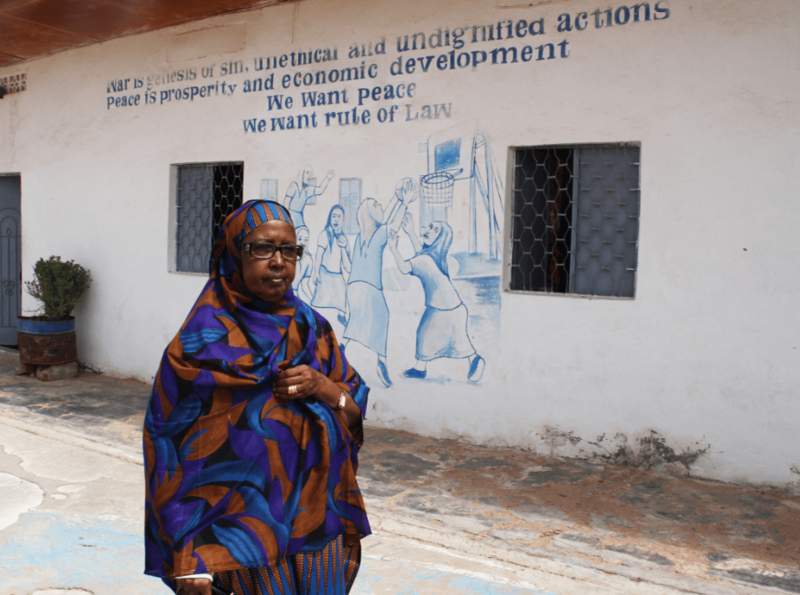 Ms. “Mama” Hawa is a big activist which solidarity showed us many valuable lessons in peacebuilding activism. السلام عليكم(Salaam Aleikum) Ms. “Mama” Hawa, thank you very much for accepting our invitation in the current edition of Global Education Magazine: World Refugee Day. “Mama” Hawa: Waalekum Salaam and you are welcome. Thank you very much for those very kind words. But am not as big as you put it. I know very many other people have made greater contributions towards peace building at various levels. We try our best in the little way we can at the grassroot level and are amazed when they are looked at as big. JCR: As educator, I would like to start this small interview asking your opinion about the benefits of Early Childhood Education in the autonomous Puntland region, where you were one founder of the Galkayo Education Centre for Peace and Development (GECPD). Would you say it could be an important tool to develop international projects of cooperation around the entire world with most needy people? MH: Early Childhood Education is very important as it lays the foundation for the intellectual and social development of a child outside the home. It also provides the child the protective environment required as they grow and develop the basic skills. Early Childhood Education programs also offer psycho-social support to children suffering abuse, neglect and those traumatized by harsh living conditions or exposed to violence at home and community. It is here that they can be helped through the healing process. 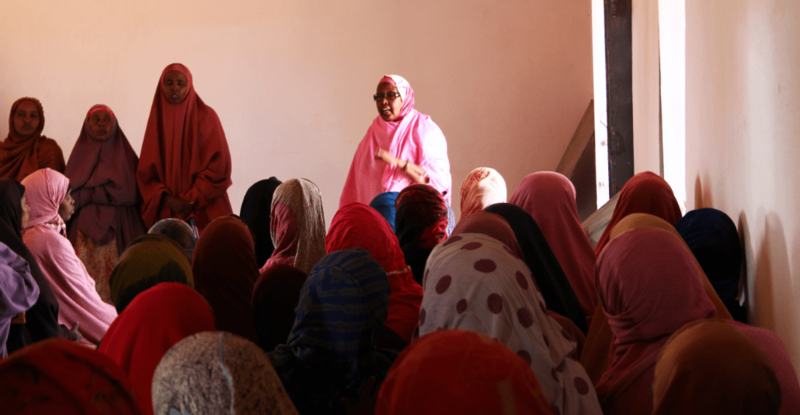 In Puntland, children are suffering neglect abuse and have been exposed to all forms of violence and harsh living conditions making this program very important. Children born in the years that turmoil has characterized Somalia know better than the violence and cruelty they have been exposed to. They are traumatized and their character and behavior influenced by the divisiveness, intolerance and repugnant culture that has characterized our society. As we move towards recovery and reconstruction, we need to build a new generation that abhors all these. We need build a generation that embraces the new developments world over and ready to be part of the global village that the world has become. Early Childhood Education can play an important role in molding the minds of our children towards this direction. However, although this level of education is envisaged in the curriculum it is not available except in a few instances. We at GECPD are offering a semblance of this program in 3 centers where our main focus is providing the protective environment and psycho-social support. JCR: In this sense, what is your vision about the kind of educational approach we should promote in an interconnected world? How important is to recognize the Convention on the Rights of the Child (CRC) as international tool of co-operation for improving the living conditions of children in every country, in particular in the developing countries? MH: Many a times, we have made decisions for children on what kind of education program they receive. The CRC provides that the active role of children in a participatory learning environment be promoted. It also demands that human rights be practised in the institutions in which the children are learning, playing and living together with other children. In a nutshell the CRC requires us to provide an education program that captures and embraces their aspirations and ambitions while respecting their right to participate in the processes that would lead to determination of such a program. In most cases in the developing world we assume that children are not clear or don’t know what they want and so we have to make decisions for them. The overriding mentality is normally that they are there to be seen and not to be heard. This is the wrong approach. The kind of educational approach we should promote in an interconnected world is one that allows children taking the lead in deciding and charting their own future with guidance from the adults and not vise versa. JCR: By the other hand, how do you feel remembering the challenged situation you found in rural areas of Somalia after your exile in Canada because the civil war of 90s? MH: Well. The situation was pathetic and the environment demoralizing. You could not speak openly about some issues and there was too much resistance. But I am glad that over the years we have been able to make some progress. Remembering then and looking at what we have today inspires hope that it is possible for change to come about. But despite the progress made, I must say that much more still needs to be done. Many girls are still out of school and so are many children of school going age. Women are still subjects of acts of violence at a level never witnessed before in the history of Somalia. FGM is still prevalent just as it was then and policy makers are still adamant about putting in place a policy framework that would help stop the practice. JCR: Have you ever dreamed that all those hard years were just a nightmare? MH: It was a nightmare indeed. Whenever I remember some of the encounters with forces that were opposed to what we were doing in the early stages it sends cold shivers along my spine. Things looked so difficult and impossible and at times I thought I would breakdown. But thanks to those who understood what we wanted to do. They always encouraged me and urged me to soldier on. And seeing the girls we had enrolled into our program and the progress they were making was also a source of encouragement. JCR: How could your experience help people in Syria, Mali, Palestine, Sahara and South Sudan? Would you like to encourage them with a little message? MH: I know they have suffered so much; some of them much more than we have. But I wish to encourage you them that even in the most difficult of moments, our courage, commitment and belief in what is right and moral can bring all the desired change in the society. JCR: In other way, looking at the future with your intergenerational solidarity thinking, the global displacement is an inherently international issue and, as such, it requires international solutions. Do you think the current conditions of economical crisis could reduce policies and programs to prevent conflicts and finish with refugees situation around the world? MH: Nobody likes to live in condition of displacement either as a refugee or internally displaced persons (IDP). Every displaced person always hope that a solution into the crises that led to their displacement would soon be found and that they return to their homes. It is the hope of the displaced people in Somalia, Palestine, Syria, Mali and everywhere else. Unfortunately while it may not require much or any resources at all to generate a crisis that would displace people, a lot of resources is required to build permanent solutions out of the crisis. It is not something that one society can do alone especially for a country like Somalia where everything had collapsed. With the economic crisis it is automatic that programs to prevent conflicts will reduce and this may roll back the gains made in addressing the condition of the current displacement or generate new crisis that would lead to new displacement. It is something that the international community should serious think about. JCR: Reading some studies, the world will have around 10,100 million of citizens by 2100. The most important growth will be in Africa and Asia, where people will have an extraordinary rural exodus. In the paradigm of International Development, what should be the role of States, African Union and United Nations to prevent violence and injustice? Will it be necessary assumed the Xeer polycentric legal system to develop new peaceful bridges? MH: Increased population will definitely mean resources becoming more limited and scarce. Many of the conflicts we are witnessing in Africa today are resource based. The international community and States should therefore strive to ensure equitable distribution and allocation of the available resources. They should ensure that vulnerable groups that have previously been marginalized in allocation of resources such as women, girls and the disabled are also catered for and their property rights protected. Communities should be enlightened and capacitated to ensure equity within their ranks. People must be made to understand that we are all human beings with same needs and wants. They be taught to appreciate that no being is superior to the other and should learn to coexist and utilize the resources God has given together. It is only in this way that we will be able to minimize conflict within our ranks. JCR: Finally, what will it be your advice for all our readers? How could we empower them to participate in the refugee issue with their little global actions? MH: If it was a matter of choice, nobody would chose to live a life of displacement or as a refugee in a foreign country. We all love the comfort and security of our homes. In the spirit of humanity let us support those uprooted from their homes by misfortunes by whatever means at our disposal wherever we are. It is the small things put together that make the whole difference. The challenge is big and insistent but never tier in your kindness. MH: Thank you very too for picking on me to participate in this interview and share my thoughts on the situation of refugees. I hope the readers will find them valid and relevant. This interview was published on June 20th: World Refugee Day in Global Education Magazine.